Samsung is offering its South Korean Note 7 owners a cheaper upgrade for the yet-to-be-released Galaxy S8 or Note 8. This comes as part of Samsung’s existing upgrade program in South Korea. Rather than having to pay off the full 2 years on a Galaxy S7 (which is what Samsung has pushed Note 7 owners to switch to), users will just have to pay for one year. They can then upgrade to a Galaxy S8 or Note 8, essentially getting it for 50 percent off. Reuters reports that this upgrade offer comes on top of other financial incentives Samsung has already offered Note 7 owners in South Korea. The fact that Samsung is this willing to throw out monetary discounts to keep customers says a lot about how much the Note 7 debacle has really hurt the brand, even in on its home turf. Samsung has already taken a big financial hit on the Note 7 in this quarter and is expected to lose even more money into next quarter. But worse than losing money might be losing reputation. Samsung is going to have to pull out all the stops with its next phones—and convince customers they are safe—if it wants to get back into gadget-lovers good graces. In offering the Note 8 upgrade option, Samsung indirectly reinforced previous statements that the Note series will not be discontinued. The company said the availability of such a program in other markets will be dependent on the situation in each country. It did not elaborate. Of course, a lot could change by the time the Note 8 hits the market. 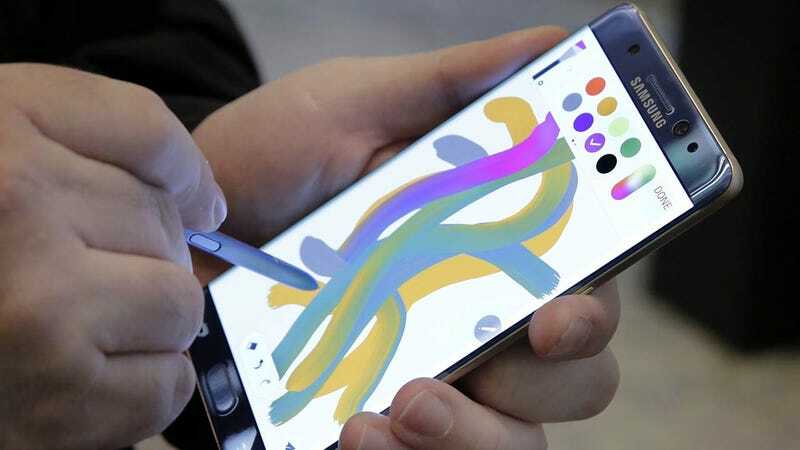 And although there is no guarantee that this kind of upgrade program will come to other countries, we also wouldn’t be surprised to see Samsung do something similar to incentivize Note 7 owners to stay with Samsung.